The comic book probably remains the dominant medium for fanciful, fantastic literature pumped out industriously for youth consumption. Actually if you ask me, the comic book has been replaced by the video game, but if we stick to just literature it’s the comic book. Before the comic book were the pulps, which ruled the mental landscape of the young for decades and gave us characters such as Tarzan, Conan, The Shadow, Doc Savage, Sexton Blake (we’ll get to him later this week), The Spider, etc. But the pulps did not invent the wheel nor start the fire. (It was always burning since the wor… ow! Okay, stop throwing things at me) Before the pulps, there were the penny dreadfuls. 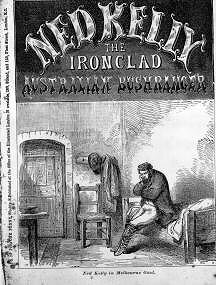 Penny dreadfuls began the entire concept of the continuing adventures of some action hero, as well as featuring numerous other types of stories from gothic horror to robber barons, famous criminals and pirates to tales of young street urchins battling out gang wars in the alleys of London. In the 1830s a peculiar situation arose in Britain due in no small part to decades of tireless effort from liberalists. It was a situation which had never before been seen in Europe, or indeed much in the entire world. A significant portion of the non elite, now in the industrial revolution known as ‘the working class’, were literate. Non wealthy people could read. Britain being the bastion of capitalism, it was only a matter of time before markets arose to cater to this phenomenon, and in the 1830s they did. 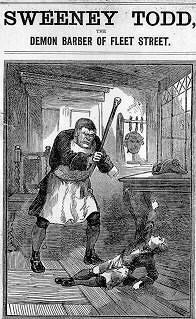 Gothic novels were all the rage and in the mid 1830s Dickens achieved great fame serializing his novels. However, for the worker and his family, these things were bloody well expensive. The swarm of gothic novels popular at the time featured melancholy star fated lovers, family curses, huge, moody castles and dungeons, some supernatural element, some air of menace and mystery, and of course women poised to faint at any given moment. 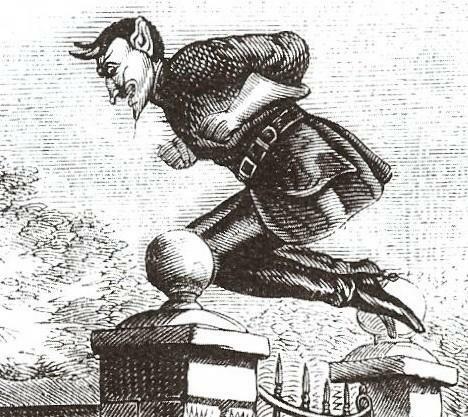 Gothic novels were hardly the shining stars of literature (until Poe came along). Indeed, they were lit-candy for the upper and burgeoning middle classes. In the 1830s a few enterprising individuals, in particular Edward Lloyd, had the idea of taking these popular Gothic stories and some knock offs of this new Dickens chap who was all the rage, and printing them on very cheap paper, in short formats of 8 pages. Each one sold for a penny. For a penny you could buy some dreadful tales of criminality, gothic tales, horror or eventually adventure stories. For a long time the tales of various criminals and horror sold the best. They were not aimed at youth in particular, and the working man, after a long, brutal day at the factory could sit home in the evening and enjoy the same kind of literary escapism as the classes above him. Obviously it’s no big mystery why tales of daring men working outside the law to make fortunes at the expense of rich dandies sold so well. William Strange began the entire enterprise in 1832 with The Penny Story-Teller. However it was Edward Lloyd in 1836 who really blew it up. The son of a farmer, he began by producing monthly story collections, tales of pirates and highwaymen as well as The Calendar of Horrors, all at 6 pence for 24-32 pages. He soon moved to the 8 pages for a penny weekly format and became insanely successful. For one thing, the first thing he did upon moving to the new format was to shamelessly rip off Dickens. 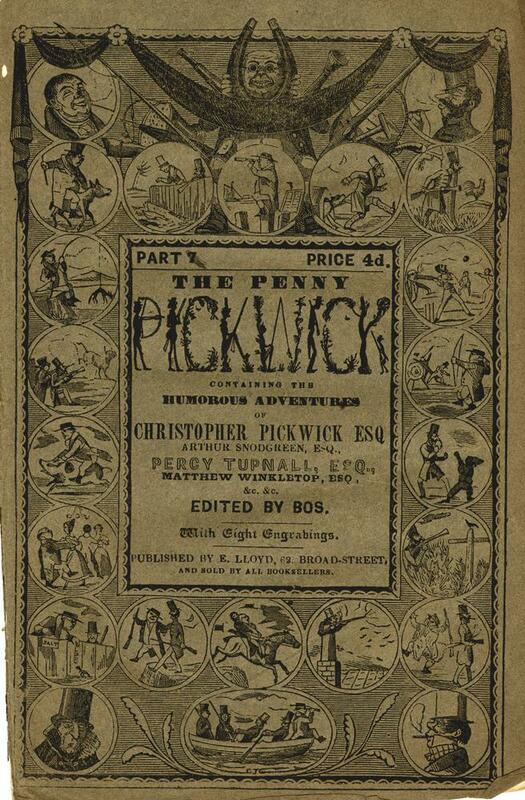 Dickens had his wildly successful weekly installment of The Pickwick Papers? 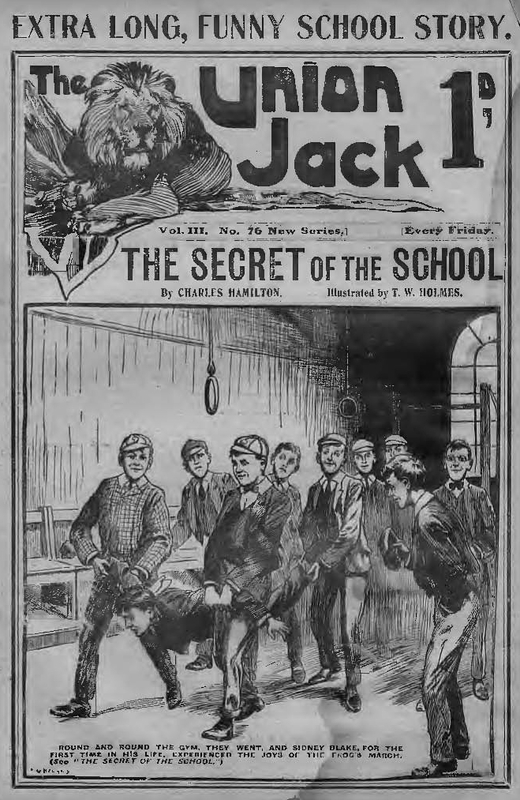 Well, Lloyd churned out The Penny Pickwick,a cheap imitation that did its job. Remember, this was in the age before copyright, and indeed it was through such things as this that copyright law came to be in the first place. Eventually Lloyd realized he had stumbled onto something that produced endless sales that went far beyond Dickens knock offs. He realized it was the very notion of a continuing adventure. He started experimenting with characters who would feature in their own never ending series of episodic tales, and this was indeed the magic idea. 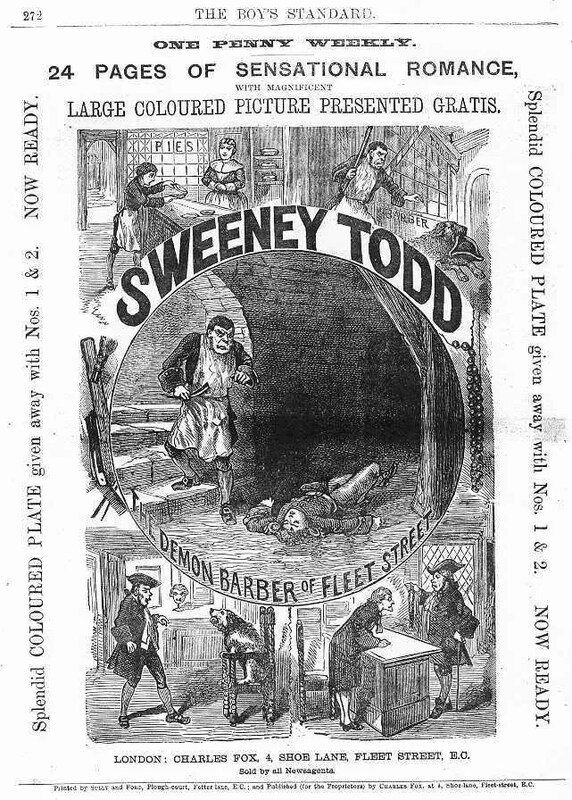 Horror was a huge part of the penny dreadfuls and one of the most popular characters introduced in that genre was the infamous Sweeney Todd, the Demon Barber of Fleet Street. For all of you familiar with the Sondheim musical, yes, this is where he comes from. Also worth mentioning is Varney The Vampire. Many fun staples which continue to thrill readers today can be traced back to the dreadfuls. Varney predates Dracula and it is from Varney (ridiculous name, i know) that we get the majority of the all the present day vampire tropes we know and love. 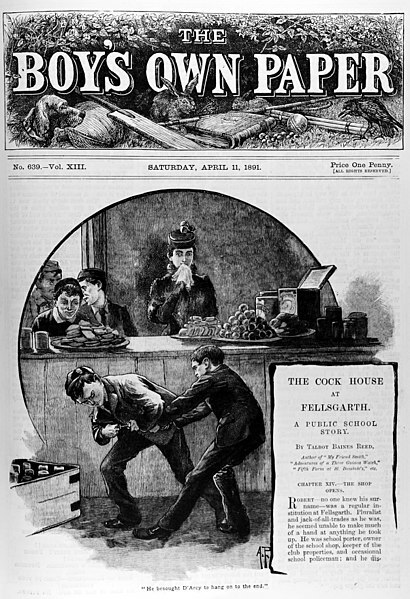 Edward Lloyd used all his earnings to start a newspaper empire and in his later years became utterly ashamed of his penny dreadful enterprise and would employ young men to go around town, find his old dreadfuls, buy them and destroy them. One however did the opposite. He went around town, bought them all with Lloyd’s money and saved them. He eventually sold them for a fortune and thus they remain preserved today. 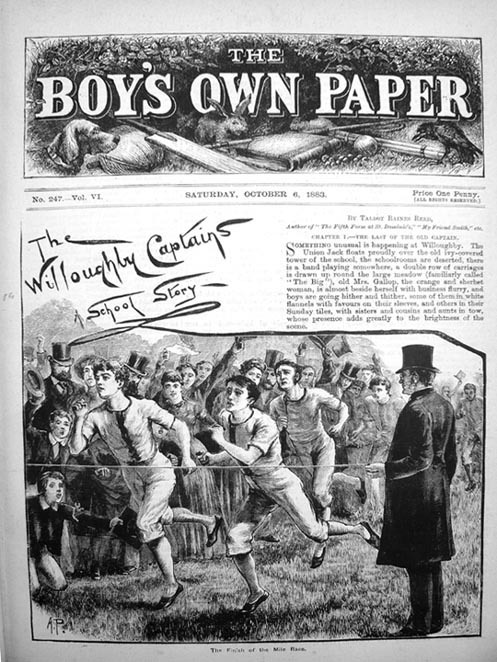 By the 1860s however the audience had shifted and it was boys and teenagers who were purchasing dreadfuls. We shall look at how the dreadful evolved because of this and follow them to the pulps tomorrow.